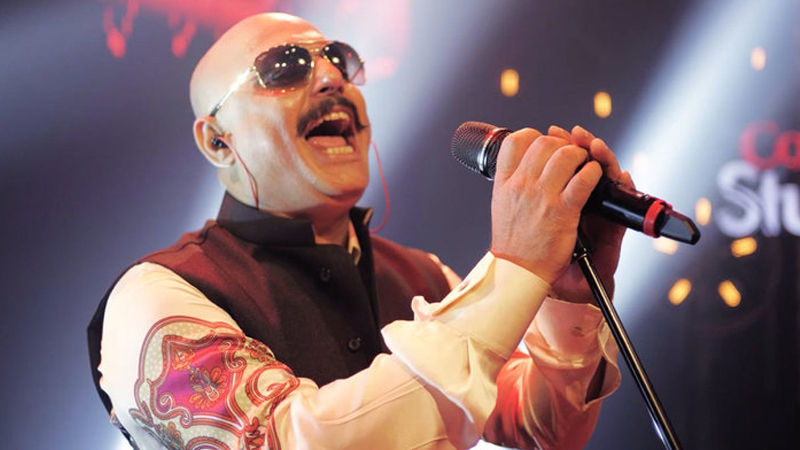 Ali Azmat needs no introduction. Three decades on, having been through the ebbs and tides of the music industry, witnissining the highs and lows, Azmat has truly lived by his rock-star persona. 2018 has been an enthralling year for the seasoned musician as he featured on the eleventh season of Coke Studio with debutant producers, Ali Hamza and Zohaib Kazi, and also reunited with the original band-mates of his much-famed band from the 90s’, ‘Junoon’ for a rendition of Khudi. On the acting front, Ali also shot a cameo appearance for Bilal Lashari’s highly anticipated reboot of Maula Jatt, after having last faced the camera for Lashari’s Waar. In conversation with Daily Times, Ali Azmat opens up about the evolution of the music fraternity, the current state that it’s in with the influx of corporations and also speaks about how his personal life has progressed over the years – pretty much everything you need to know. Tell us what it was like coming together as ‘Junoon’, considering you didn’t part ways amicably and what’s next for the band? Yes, there was bitterness, but it’s not like we didn’t burn any boats, we just ended the band and went our separate ways. There were differences, but as time, we’ve changed as people as well, I’ve come to terms with a lot of shortcomings of others and myself. Time is the greatest healer and we really did meet each other after 13-years, but it felt like nothing really changed. We picked up from where we left off, we were still cracking jokes, so there always will be musical differences, which does become personal; it’s complicated – it’s like being in a marriage. I don’t know if I’m making sense, but that’s how I feel, but when we came back, it was all normal. And of course, we’ll do something, as an entity, but the physical differences are such, considering Salman and Brian live in the US and I’ve been here in Pakistan, all my life, that it’s difficult to get the band together. In times where your forte, ‘rock’ has been replaced by easy-listening, how do you think you’ve found your relevance beyond ‘Junoon’s legacy? I don’t know bro (laughs). But that’s the whole scene, yes, the music has declined, songwriters just make music for producers, who call on artists thinking a Beyoncé could sing something well, so it’s become mass-production and most of the music sounds the same. The days of the great bands, who worked their way up from counties to cities, to states are over. Success came when more people engaged with your music, now it’s done through the internet and it’s more of a systematic genocide of music, that’s what I see it as. But I always had friends like Najam Shiraz and Ali Haider, who would worry about what’s trending, whether it was bhangra or ecstasy, and eventually, you don’t know, but you lose your own way of doing things. When we (‘Junoon’) came out, we didn’t care if it would be a hit song or not or if we were fitting the demand; we didn’t set out to become ‘rock-icons’, but we just did. I’ve always wrote the music I’m capable of, it’s exhausting to follow the fashion; I’m still wearing the same t-shirt and jeans that I did during ‘Junoon’s early days. I don’t know if there’s a method to this madness (laughs). What do you make of the lackluster current music-scene in Pakistan and what can be the way forward? I have a guitar school here (in Lahore) and we give young artists a chance to play their music for no money at all basically; it’s a small space, doing what a club does. So I think not having venues to perform at is the biggest problem. It is difficult to revive the scene when the things needed to let musicians explore aren’t available. Over the years, music channels became news channels, anchors made more money than musicians. There won’t be record sales, because there aren’t any all over the world. You spend tons (to produce an album), but then somebody can buy it in half the money for eternity, owning your intellectual property, and the piracy rate here is also 130%. I think, the culture needs to change, so does the security situation. Commercial entities need to come around; people who can organize shows and make money out of that, then only, there will be a business. What do you think is the role that corporations have played in furthering the distinct sound of Pakistan? In the absence of real business and any kind of model, they’re a breath of fresh air. They’ll pay you money to perform at Coke Studio, which they will run again and again, until it becomes a hit. They’re putting money behind it because they realize the gap in music marketing and the lack of entertainment. Yes, Coke and Pepsi, both, are selling bottles, but at least they’re all giving artists a platform. The only thing is that they own the recording, that’s all. Three-decades on, what do you think keeps you going and how have you evolved as a person, now that you’ve started a family of your own? I have no other choice; my father didn’t leave me any money, so I had to work. I have two daughters and a wife to look after now, I’ve never loved money enough to actually go out and get it, so now; I have to concentrate on what I know. My friends did open up businesses, but I was never that desperate. I was always a lazy musician and people like what I do when I go on-stage, so God’s been kind, He’s making me walk this path every day. My older one makes fun of me and thinks I’m screaming, but the younger one loves what I do and she wants to become a rock-star (laughs). I am a different person now though, I changed after my mother passed away because I thought didn’t have her blessing anymore, but that’s when I was forced to get married and have babies. People seemed to have a better perception of my life than I did, made me a ‘bad boy’, all I do is go country-hopping, I went to China on a bike, now I’m going to Brazil and Argentina on a motorcycle, so I guess it’s not about me, it’s just that nobody else does that. Published in Daily Times, December 1st 2018.